HMRC have been issuing tax codes and calculations following the submission of form P11Ds by employers across the country. The process affects individuals who are taxed under the PAYE regulations, but will affect both employees and directors. 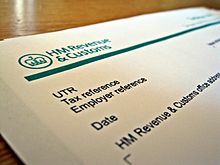 The major problem when HMRC issues tax codes and calculations is that people tend to believe that because they are generated by computer and come from an official source they must be right. Those who have regular contact with HMRC will know that this is not true. With any paperwork from HMRC it is vital that you check that the figures used are correct and that you have been given your full allowances and that you been credited with any deductions due. With tax calculations in the form of a P800, you should make sure that your income is fully recorded. It is not unusual for people that have changed job during the year to find that some of their jobs has been missed off. If you receive benefits from your employer, but these are incurred for the purpose of doing your job, then it is likely that the benefit will be included in full, but unsurprisingly that HMRC often forget that these expenses do not need to be taxed. You will need to make a claim to your tax office to claim this allowances. You should write clearly marking the letter “S.336 Claim” with your National Insurance Number and the Employers Tax reference. Coding notices should always be checked as they will often include deductions in respect of expenses that your employer included on your P11D for the previous year, with no reduction under the S.336 rules (see above). Also where you have more than one source of income then you will need to make sure that you are getting your full allowances even if they are split across a number employers or pensions. Finally, if you are receiving a new income, including pensions, you should check that the correct tax code is being applied. It is common for pension companies to incorrectly give a new claimant their full annual allowance, which if you have other income, including the state pension, will mean that you will pay too little tax until the position is corrected. This can quickly lead to tax of several £’000 being due and HMRC are not always happy to come to long term arrangements to get their money. Tax codes and calculations are being sent out. Make sure yours is correct and if you are not sure seek advice. There is a view that HMRC may be using this tactic to raise more money than is strictley due on the basis that most people will not check the position and only a small proportion will know how to get the position corrected. For more information concerning tax codes and calculations reducing your tax bill contact Brian Russell on (01661) 872004 or by email: Brian.Russell@profitabilitygroup.co.uk. To receive our receive our FREE report “Boost your Cashflow” complete the form above.